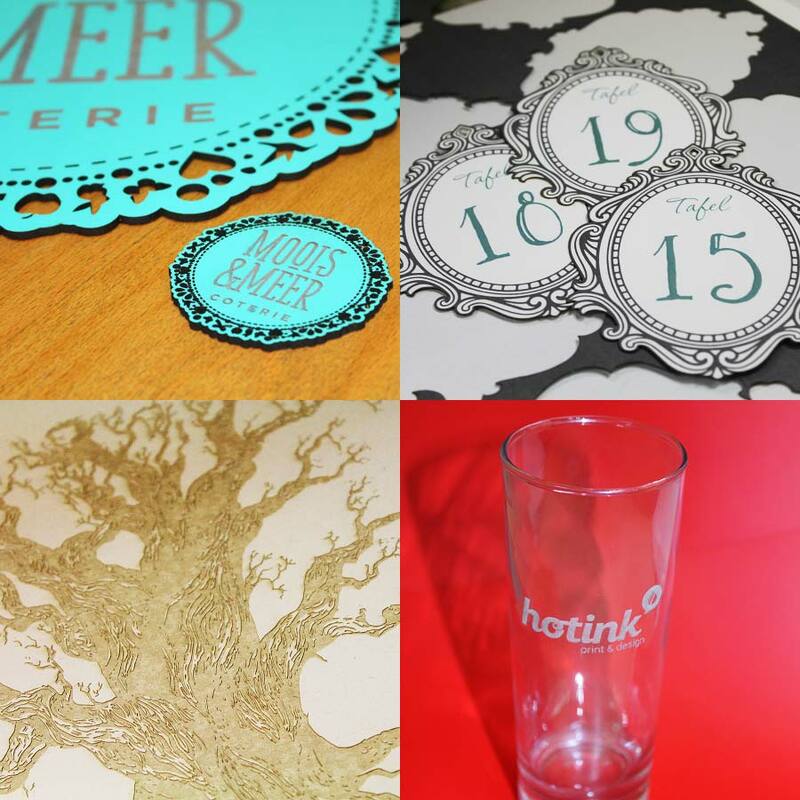 Our fabulous new laser cutting and etching service has opened up such a broad range of creative solutions. The materials that can be used include wood, paper, cork, plastic, perspex, glass plus many more, so give us a shout if you have an idea but are not sure what’s possible. WHAT’S THE DIFFERENCE BETWEEN LASER CUTTING AND ETCHING? There are two main variables that the laser uses to cut and etch, they are speed and power. When cutting, the laser power is increased and the speed is decreased so that the cutting beam spends a longer time hitting the material and cuts right though. While etching, the speed is increased and the power reduced, this way the laser only removes a little material from the surface, leaving just the etched image behind. WHAT ARE THE ADVANTAGES OF LASER CUTTING? For short runs where the set-up cost of having a die made is too expensive, laser cutting is the perfect solution as it has a low set-up cost. In addition to this, the level of detail one can achieve is significantly higher than with die cutting. One can also do a combination of cutting and etching at the same time and this can be applied to a wide variety of substrates, view our samples. HOW SHOULD YOU PROVIDE ARTWORK FOR CUTTING? Easy – simply send us your die-line as a vector graphic (PDF or EPS) and we’ll do the rest. Whether you are making wedding stationery, jewellery or point of sale stands, we are looking forward to making your next project something really special!